Sharon Cuneta and Robin Padilla’s reunion movie finally got a title and it’s called Unexpectedly Yours. Star Cinema on Saturday released the official teaser of the movie, where young tandem Julia Barretto and Joshua Garcia are also a part of. The teaser shows a seemingly lost Sharon who accidentally stumbles inside the hotel room of Robin. While Joshua is bent on winning the heart of Julia’s character. 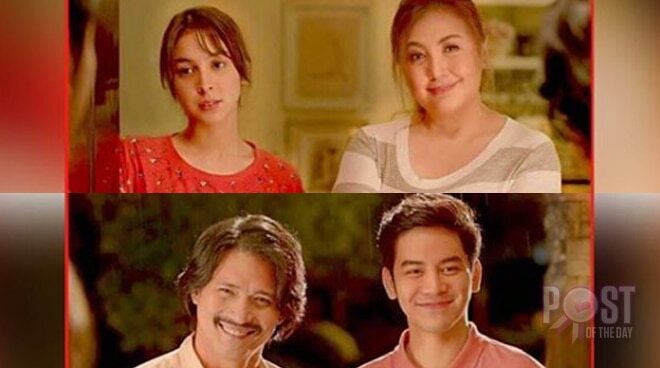 The teaser also revealed the connection between the four characters—Sharon is Julia’s mother while Robin happens to be Joshua’s uncle. Star Cinema also revealed the movie’s official poster and playdate. Unexpectedly Yours is set to hit the theaters this coming November 29.